Forests Ontario CEO Rob Keen has some tips to help you be smart about choosing the best real tree! Toronto, ON, November 27, 2018 - Buying a natural Christmas tree is a win-win - it brings the beauty and aroma of Ontario’s forests inside your home for the holidays. A real tree is eco-friendly and supports the provincial economy. 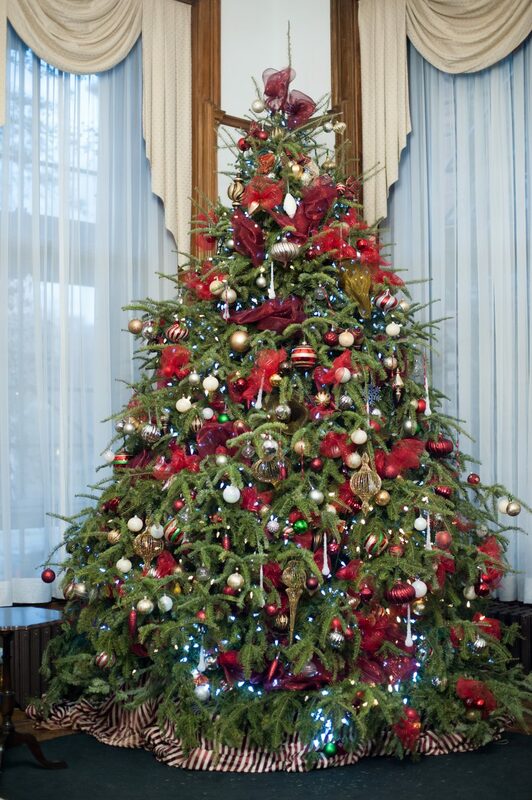 Over 500 farmers produce upwards of one million Christmas trees each year in Ontario. These trees are not plastic, nor produced and transported from overseas. Christmas tree farms are also carbon sinks, soaking up carbon dioxide emitted by cars, planes, and our homes while producing life-giving oxygen. Just one acre of planted Christmas trees can produce enough oxygen for 18 people daily. Real trees are 100% biodegradable, they can be tree-cycled into mulch for city parks, form habitat for fish and wildlife, or even craft materials. Real Christmas trees give back to our environment long after the holiday season, they are the green choice. On top of being socially and environmentally responsible, buying a real tree is also an opportunity for fun with family or friends! And nothing beats an outing to pick the perfect tree on a snowy weekend trip to the local Christmas Tree Farm. Rob Keen, Forests Ontario CEO is a forester and devoted fan of natural Christmas trees, here are his top tips for picking and caring for your natural tree. • Plan ahead - measure your space so you can buy a tree that fits your home. Consider both the width and height of your space. Leave room near the ceiling for your perfect tree “topper”. • Do the drop test! Lift the tree a few inches of the ground and let it fall. Choose the tree that drops the fewest needles. Then gently grab the inside of a branch and pull your hand toward you. You’ll know you’ve found a great tree when the needles do not come loose in your hands. • When you buy your tree, have a short slice cut off the bottom of the trunk so your tree to take up water. Be sure the cut is straight, so it stands level in a sturdy water-filled stand. • Find a spot away from the heat vents - to keep your tree from drying out. • Speaking of water - ensure that the tree has enough water to drink and keep filling the stand. This will keep your tree looking its best throughout the holiday season.